The Anthony Quinn Foundation Award is presented to an individual who has made a significant impact in the arts, or their development, furtherance, and support. AQF is proud to present the 2017 Anthony Quinn Foundation Award to Lin-Manuel Miranda. Like Anthony Quinn, Mr. Miranda's creative talents cover a wide range of artistic disciplines. He is an actor, playwright and composer, best known for creating and starring in the Broadway musicals Hamilton and In the Heights. In addition to theatre work, Mr. Miranda was heavily involved with Disney's Moana soundtrack and will star in their upcoming film Mary Poppins Returns. He has won a Pulitzer Prize, two Grammys, an Emmy, a MacArthur Fellowship and three Tony Awards, among countless others. 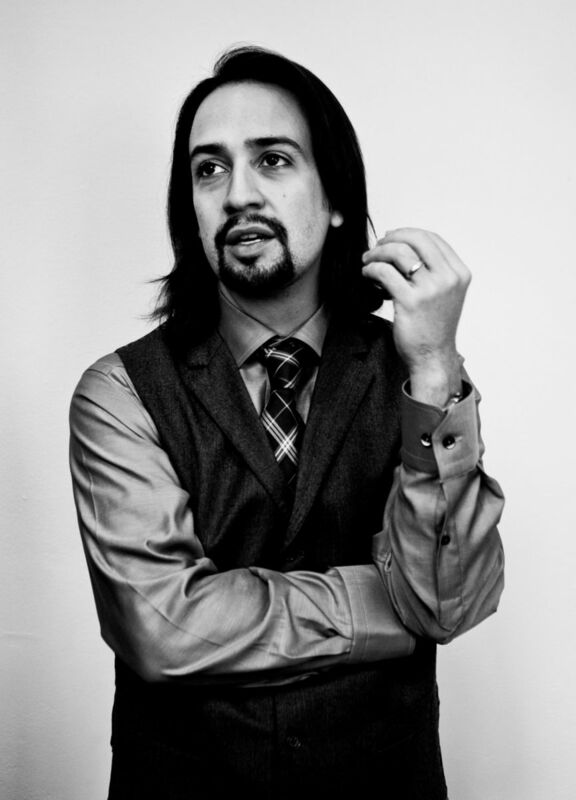 Mr. Miranda also wrote the book, music, and lyrics for Hamilton, his second major Broadway musical, which was inspired by the 2004 biography Alexander Hamilton by historian Ron Chernow. The show earned the 2016 Pulitzer Prize for Drama, the 2016 Grammy for Best Musical Theater Album, and was nominated for a record-setting 16 Tony Awards, of which it won 11—including Best Musical. As part of the Anthony Quinn Award, a 2017 Anthony Quinn Foundation Scholarship has been named in Mr. Miranda's honor. The 2016 Anthony Quinn Foundation Award was presented at a ceremony at the Quinn estate in Bristol, Rhode Island to Edward James Olmos. Eddie grew up in the same Boyle Heights neighborhood of Los Angeles, where Anthony Quinn spent much of his youth. He began his artistic career as a rock musician, playing some of the most famous clubs in L.A. throughout the 1960's and early 1970's, while also studying acting and taking small roles in the theater and television. His first big break was a starring role in Zoot Suit, a play based on the famous LA riots of 1943. The play had a run on Broadway and Eddie was nominated for his first Tony Award. From 1984-1990, he starred in the popular TV series, Miami Vice, for which he received an Emmy nomination and in 1987 won the Golden Globe for his portrayal of Jaime Escalante in the movie, Stand and Deliver. His directing and producing debut came in 1992 with the major motion picture crime drama, American Me. Besides his acting, directing and screenwriting work, Eddie devotes much of his time to humanitarian causes, particularly those focusing on the needs and rights of children, by participating in creative programs and events where he can reach kids at risk. He stresses the importance of education, and promotes the notion of taking responsibility for one's own actions and that discipline and perseverance are the keys to achievement and excellence in art and in life. The first recipient of the Anthony Quinn Foundation Award is Larry King, a close friend of Anthony Quinn and his wife, Katherine, for his lifelong commitment to excellence and integrity in the global media. Born Lawrence Harvey Zeiger on November 19, 1933, in Brooklyn, New York to a bar owner and a garment worker, his father died of heart disease when Larry was just 9 years old. From an early age, Larry dreamed of a career in radio, but his father’s death greatly affected Larry's emotional stability, causing him to lose interest in school.